Jovita Idár was born in 1885 in Laredo, Texas. She was one of eight children born to Jovita and Nicasio Idár. The Idárs raised their children to understand the responsibilities, challenges, and experiences of the Chicano community. Jovita was known as a spirited child and eager student. In 1903, Jovita earned her credentials and started teaching at a school in Los Ojuelos. She found teaching to be frustrating and felt that, “There was never enough textbooks for her pupils, nor enough paper, pens or pencils; if all her students came to class, there were not enough chairs or desk for them.” As with the African American community, the Tejanos paid taxes, but suffered from inadequately equipped schools and segregation. Jovita felt like she could make little difference in the lives of her students by teaching, and instead pursued a career as a journalist. Jovita’s father published and edited his own paper, La Crónica, where he supported social justice and civil rights for Mexican-Americans. Jovita and two of her brothers began working for the newspaper which became a major voice for Tejano rights. She focused on the poor living descriptions of Mexican-American workers and was an ardent supporter of the Mexican Revolution in 1910. The League of Mexican Women (La Liga Femenil) was founded in 1911 in Laredo to offer free education to Mexican children. 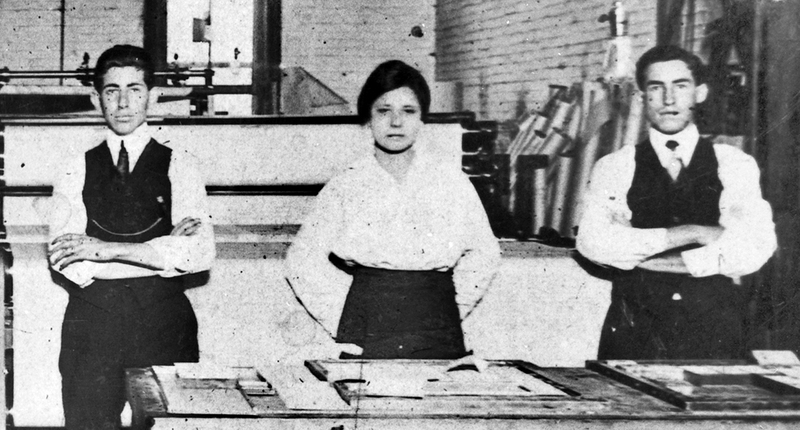 Jovita served as the first President and sought to “unify the Mexican intellectuals of Texas around the issues of protection of civil rights, bilingual education, the lynching of Mexicans, labor organizing and women’s concerns.” The group grew into a political and charitable powerhouse that also provided food and clothing to those in need. Jovita was also involved in the Primer Congreso Mexicanista where she worked to fight inequality and racism. In 1913, she traveled to Mexico to help the wounded along the border during the Mexican Revolution where she joined the White Cross (La Cruz Blanca). When she returned to Texas, she began writing at El Progreso in protest of American troops along the border. This pissed off the army and Texas Rangers, and they shut down the paper. What. The. Hell. Jovita would not be silenced, and she returned to working for La Crónica after her father’s death in 1914. In 1916, she founded the weekly paper Evolución which survived for four years. In 1917, Jovita married Bartolo Juárez and moved with him to San Antonio in 1921. She established a free kindergarten and volunteered as an interpreter for a local hospital. In 1940, she began co-editing the journal El Heraldo Cristiano. She died in 1946 from tuberculosis at the age of 60. Her work to expose the unfair and cruel conditions of a vulnerable population is commendable for anyone, but particularly a woman of her time.